The constellation Hercules is overhead when darkness falls. Although it holds no first magnitude stars, it is easy to distinguish the “Keystone” asterism. 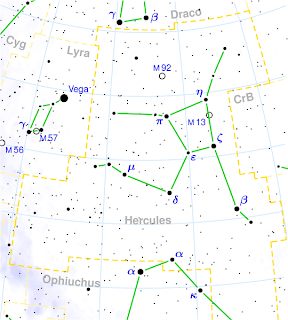 Hercules contains two of the most conspicuous globular clusters: M13, the brightest globular cluster in the northern hemisphere, and M92. Globular clusters, which are found in the halo of a galaxy, contain considerably more stars and are much older than the less dense galactic, or open clusters, which are found in the disk. Globular clusters are fairly common; there are about 158 currently known globular clusters in the Milky Way, with perhaps 10–20 more undiscovered. Large galaxies can have more: Andromeda, for instance, may have as many as 500. Some giant elliptical galaxies, such as M87, may have as many as 10,000 globular clusters. These globular clusters orbit the galaxy out to large radii, 40 kiloparsecs (approximately 131 thousand light-years) or more. The Great Globular Cluster in Hercules was discovered by Edmond Halley in 1714, and catalogued by Charles Messier on June 1, 1764. Its real diameter is about 145 light-years, and at its distance of 25,100 light years, its angular diameter of 20' corresponds to a linear 145 light years - visually, it is perhaps 13' large, and it is composed of several hundred thousand stars. There are seven stars in Hercules known to be orbited by extrasolar planets. They were discovered in 1996, 2005, 2006, and the last four in 2007. Four of the planets in our solar system are visible in the night sky, Venus setting in the west, closely followed by Saturn and Mars, and Jupiter can be seen in the south, close to the “Teapot” of Sagittarius. We will aim to meet 7.30. p.m. on Sunday 6th July at Pedro Castle. However, it is the rainy season. If the sky is more than 50% cloud covered we cancel. Given the changeableness of the weather, you can appreciate that this can sometimes be a difficult decision to make. In the west Saturn, Mars, the bright star Regulus and the Moon will all be close to each other in the sky when darkness falls. Jupiter will be rising in the east. Close to the zenith, Arcturus is the most luminous object in that part of the night sky. 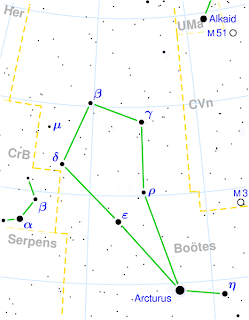 The brightest star in the constellation Boötes, it is the third brightest star in the night sky, with a visual magnitude of −0.05, after Sirius and Canopus. It is the second brightest star visible from northern latitudes and the brightest star in the northern celestial hemisphere. Researching Arcturus led me to this wonderful piece of astronomical lore, quite new to me. 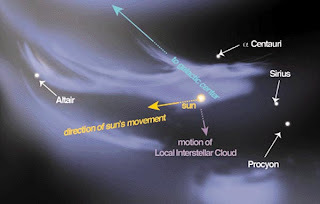 The Local Interstellar Cloud, casually called the Local Fluff, is the interstellar cloud (roughly 30 light years across) through which our solar system is currently moving. The cloud has a temperature of 6000° C, about the same temperature as the surface of the Sun. It is very thin, with 0.26 atoms per cubic centimeter; approximately one-fifth the density of the galactic interstellar medium and twice that of the gas in the Local Bubble. In comparison, Earth's atmosphere at STP has 2.7 × 1019 molecules per cubic centimeter. The Sun, with a few other local stars, is embedded in the Local Fluff. Notable nearby planetary systems include those of Alpha Centauri, Vega, Arcturus, and Fomalhaut. 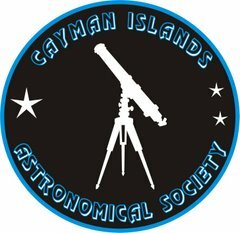 Our Sun may exit the Local Interstellar Cloud during the next 10,000 years. Much remains unknown about the local ISM, including details of its distribution, its origin, and how it affects the Sun and the Earth, although it is thought that the Local Interstellar Cloud's effects on Earth are effectively cancelled by the solar wind and the Sun's magnetic field. Arcturus is a type K1.5 IIIpe red giant star — the letters "pe" stand for "peculiar emission," which indicates that the spectrum of light given off by the star is unusual and full of emission lines. This is not too uncommon in red giants, but Arcturus has a particularly strong case of the phenomenon. It is at least 110 times more luminous than the Sun, but this underestimates its strength as much of the "light" it gives off is in the infrared; total power output is about 180 times that of the Sun. The lower output in visible light is due to a lower efficacy as the star has a lower surface temperature than the Sun. Its mass is hard to exactly determine, but may be about the same as the Sun, and is no more than 1.5 solar masses. Arcturus is likely to be considerably older than the Sun, and much like what the Sun will be in its red giant phase. According to the Hipparcos satellite, Arcturus is 36.7 light years (11.3 parsecs) from Earth, relatively close in astronomical terms. Hipparcos also suggested that Arcturus is a binary star, with the companion about twenty times dimmer than the primary and orbiting close enough to be at the very limits of our current ability to make it out. Recent results remain inconclusive, but do support the marginal Hipparcos detection of a binary companion.